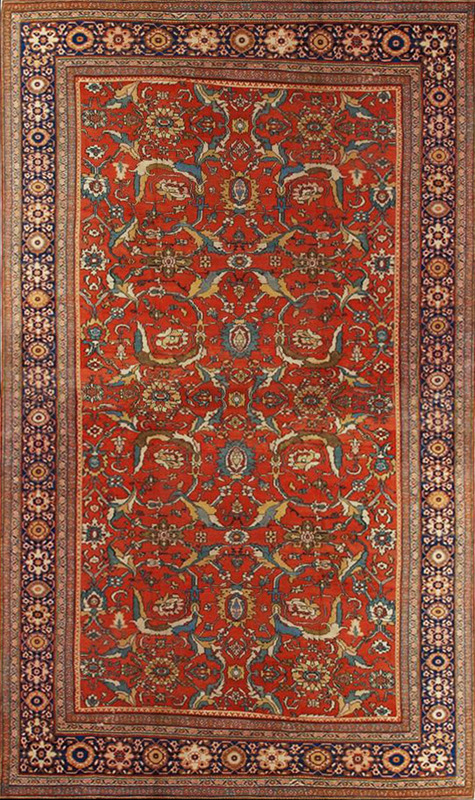 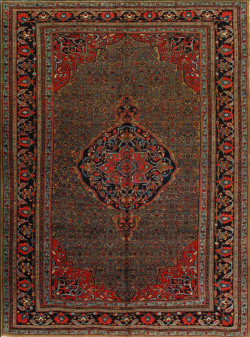 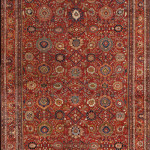 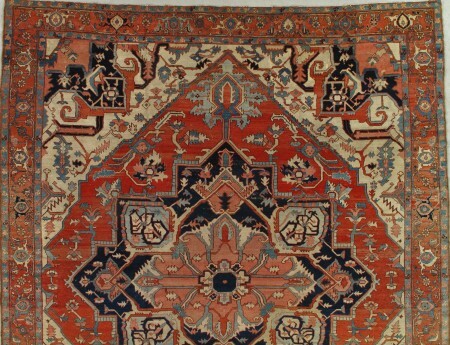 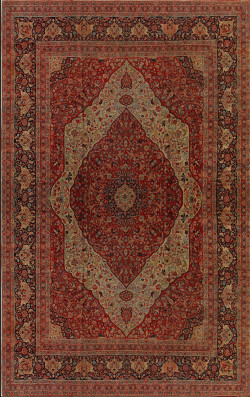 Sultanabad Rug-240827 The rich red field of this antique carpet is graced with vigorous curved leaves enclosing palmettes forming a central axis. 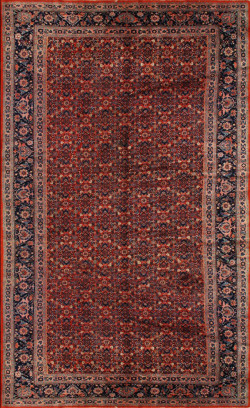 There are also large colorful diagonal leaves and several additional layers of underlying vines. 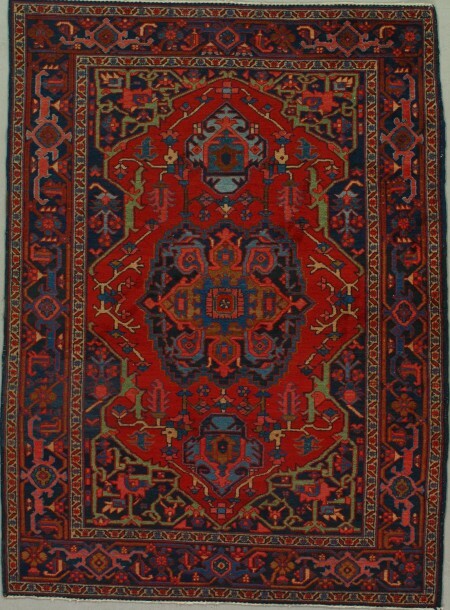 The midnight blue border has a pattern of rosettes and cartouches popular in this part of Persia.